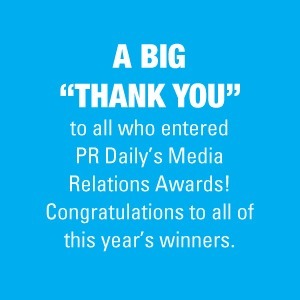 Congratulations to the winners of PR Daily’s 2017 Media Relations Awards. After much deliberation, we’ve named the crown jewels of the industry. One of our winners advocated for local political causes with the help of news conferences and speaking engagements to create real change. Another partnered with the first full-time female NFL official to share its brand’s message on a multiplatform press tour. Influencer and expert partnerships garnered major media attention for many of our winners. An interactive event drove brand awareness for another. All of our winners proved that creative tactics and measurable goals lead to big success. T.R.I.P. Album + Beer Launch, Adam Ritchie Brand Direction with The Lights Out + Aeronaut Brewing Co. Introducing a World Beyond Wallets, Adfactors PR with ItzCash Card Ltd.
Huawei Fit, High Road with Huawei Technologies Co. Ltd. Genius 3D Mammography Exam—Breast Cancer Awareness 2016, Vault Communications with Hologic, Inc.